Stamps.com is integrated with the leading shopping cart integrations for e-commerce including Magento, Volusion, Zen Cart, X-Cart, and osCommerce. Users of these shopping cart platforms will be able to use Stamps.com to create shipping labels, calculate the shipping cost of packages, standardize domestic addresses via USPS CASS certified Address Matching Software, and track shipments. These integrations offer online merchants a convenient e-commerce solution coupled with the speed and efficiency of Stamps.com’s shipping software. Stamps.com is integrated with 3dcart, a complete and robust e-commerce platform designed to help e-store owners thrive in a competitive market. With hundreds of features built directly into its software, online merchants can effectively open, operate and maintain a successful online store with relative ease and efficiency. Fully scalable and completely customizable, 3dcart’s support team is always available, at no additional cost, 24/7/365. With Stamps.com, 3dcart users will be able to easily import data, batch orders, print pre-paid USPS shipping labels, and take advantage of exclusive USPS discounts. Stamps.com is integrated with Bigcommerce, the e-commerce software solution that gives you everything you need to create a successful online business. You can build a beautiful, customized store in just a few hours without needing any design or technical skills, then promote it using built-in marketing and conversion optimization tools. With Stamps.com, BigCommerce users will be able to easily import data, batch orders, print pre-paid USPS shipping labels, and take advantage of exclusive USPS discounts. Stamps.com is integrated with Channel Advisor, a leading provider of e-commerce solutions that enable retailers to increase profitability through dozens of online channels including Amazon, Google, eBay, Facebook, and more. Leveraging its global presence, Channel Advisor allows e-commerce retailers to connect with a far-reaching customer base using advanced solutions like webstores, rich media and feed customization. Channel Advisor users will be able to easily import data, batch orders, print pre-paid USPS shipping labels, and take advantage of exclusive USPS discounts. Stamps.com is integrated with CS-Cart, a PHP shopping cart software that uses MySQL to store data and Smarty template engine to build the website’s look and feel. Its 100% open source code, hook-based modular architecture, modern design technologies, impressive flexibility and development API make CS-Cart a perfect platform for custom e-commerce requirements. With Stamps.com CS-Cart users will be able to easily import data, batch orders, print pre-paid USPS shipping labels, and take advantage of exclusive USPS discounts. Stamps.com is integrated with Earth Skater, an online store software known for low prices, free setup service, and support. Its complimentary setup includes: A brand new responsive and mobile ready website design, product export and import, transfer web pages, starter logo design, email setup, domain setup, SSL security certificate setup, and FREE advertising credit. Earth Skater users will be able to easily import data, batch orders, print pre-paid USPS shipping labels, and take advantage of exclusive USPS discounts. Stamps.com is integrated with Magento, the web’s most popular shopping cart software package. As an open-source platform, Magento is available to its customers for free and allows comprehensive management of e-commerce sites and online businesses. With Stamps.com, Magento users will be able to easily import data, batch orders, print pre-paid USPS shipping labels, and take advantage of exclusive USPS discounts. Stamps.com is integrated with OsCommerce, an open-source shopping cart software solution compatible with PHP and MySQL that is designed to make running your online business as easy as possible. Available as a free download, OsCommerce is designed to make starting and maintaining an e-commerce site as easy as possible. With Stamps.com, OsCommerce users will be able to easily import data, batch orders, print pre-paid USPS shipping labels, and take advantage of exclusive USPS discounts. Stamps.com is integrated with OpenCart, an open source PHP-based online shopping cart system. It is a robust e-commerce solution for internet merchants with the ability to create their own online business and participate in e-commerce at a minimal cost. With Stamps.com, OpenCart users will be able to easily import data, batch orders, print pre-paid USPS shipping labels, and take advantage of exclusive USPS discounts. Stamps.com is integrated with Pinnacle Cart, an all-inclusive e-Commerce shopping cart solution. Developed by online marketers for online marketers, the platform includes everything you need to take your business from start-up to e-Commerce enterprise. The secure solution is PCI compliant, PA-DSS certified and includes an optimized mobile store. Pinnacle Cart guarantees you’ll see an increase in online sales and offers FREE migrations from over 40 different shopping carts! With its integration to Stamps.com, shipping with the USPS® is easier than ever before. Stamps.com is integrated with PrestaShop, a fast, efficient, easy to use and free e-commerce solution that provides everything you need to open, operate and maintain a successful online store. With Stamps.com, Prestashop users will be able to easily import data, batch orders, print pre-paid USPS shipping labels, and take advantage of exclusive USPS discounts. Stamps.com is integrated with Cirkuit Commerce, a hosted e-commerce solution for customers seeking a full shopping cart solution. Cirkuit Commerce is packed full of features and is extremely customizable. Settings can be tweaked to fit your personal business model. Known It also offers install-and-go installations based on your budget. With Stamps.com, shipping with the USPS® is easier than ever before. Stamps.com is integrated with Shopify, a shopping cart platform that provides retailers easy-to-use tools to create their own e-commerce store. Retailers can choose from more than 100 design templates for their website or create a custom design for their online store. 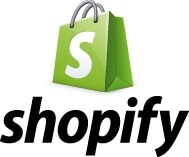 Shopify also allows retailers to instantly accept credit cards, without requiring a payment gateway, and there are zero transaction fees when using Shopify Payments. With Stamps.com, Shopify users will be able to easily import data, batch orders, print pre-paid USPS shipping labels, and take advantage of exclusive USPS discounts. Stamps.com is integrated with SureDone, a multi-channel e-commerce solution that makes it possible to simultaneously scale on eBay, Amazon and your e-commerce website. The new multi-channel platform pushes products across multiple marketplaces, automatically syncs stocks levels and keeps orders centralized. A fully customizable e-commerce storefront is included with each plan; or plug-in an existing e-commerce storefront using one of its 30+ integrations. Stamps.com is integrated with Volusion, a turn-key professional shopping cart software solution for e-commerce merchants. Volusion makes it easy to not only start and maintain an e-commerce site but also to run an e-commerce business. Volusion shopping cart software integrates with tools for inventory management, marketing, accounting software such as QuickBooks®, and much more. With its integration to Stamps.com, shipping with the USPS® is easier than ever before. Stamps.com is integrated with WooCommerce, the most popular WordPress e-commerce plugin. The Stamps.com web integration for WooCommerce enables your WooCommerce store to pull in rates from USPS via the WooCommerce administration area. Your store manager can define shipping rates and add-ons to receive a shipping label from Stamps.com, ready for printing. Pye Brook Company, Inc. has developed a Stamps.com plug-in for WP-eCommerce that allows you to purchase USPS postage and print shipping labels inside of WP-eCommerce. With Stamps.com, WP-eCommerce users will be able to create quotes for all types of USPS shipping, address validation and more. Stamps.com is integrated with Zen Cart, a free, open-source shopping cart software solution for e-commerce sites. Developed with shoppers and merchants in mind, Zen Cart is designed to make e-commerce as simple as possible. The result is a powerful e-commerce solution that can be implemented by anyone with basic web and computer skills. With Stamps.com, Zen Cart users will be able to easily import data, batch orders, print pre-paid USPS shipping labels, and take advantage of exclusive USPS discounts.